My first trip to England was in 2003 and I was hooked! What a beautiful place! Among all the beautiful places to love, one of my very favorites is North Yorkshire. I loved all the stone walls, the sheep, and the gorgeous countryside. 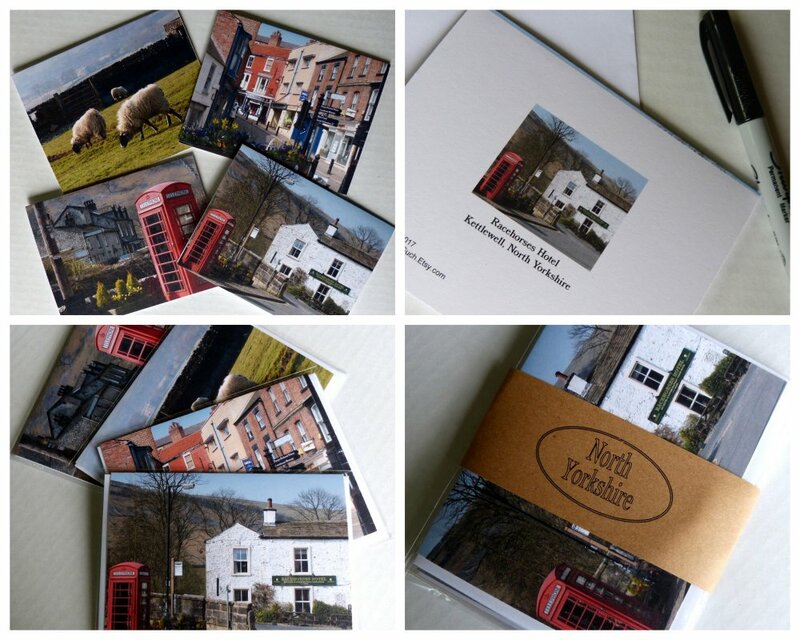 I hope you will like my North Yorkshire note cards as much as I do and will enjoy sharing them in your correspondence. THIS LISTING is for one set of four premium photo greeting cards, 'NORTH YORKSHIRE' It includes Scottish Blackface Sheep; Scene in Kettlewell; Street in Ripon; Racehorses Hotel.